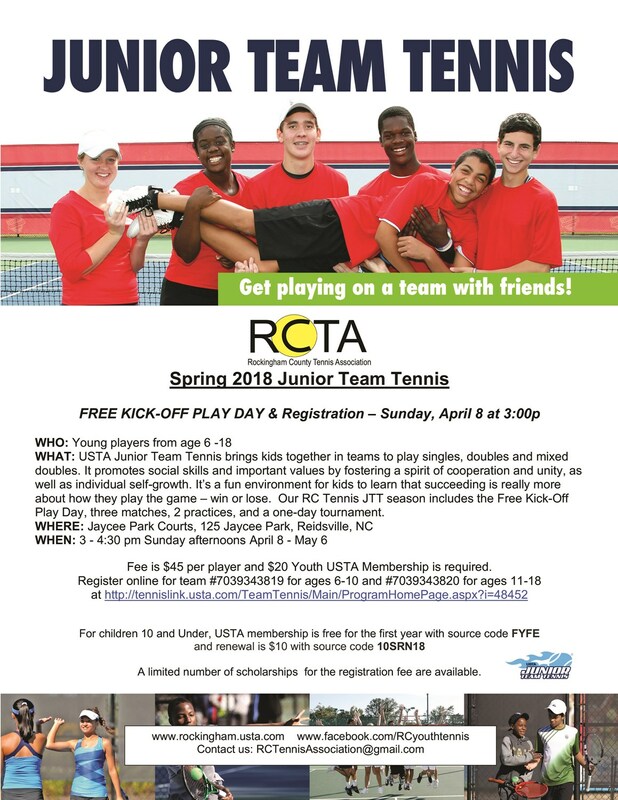 SPRING 2018 RCTA Junior Team Tennis matches begin April 9 for a 4-week season ending on May 7 with a Level 5 USTA Sanctioned Tournament. We are offering three levels: 18 and Under and 12 and Under and 8 and under for players age 6-18. Players should have played tennis before but match experience is NOT required. Rackets are available for players to use or they may bring their own. Fee is $45 per player and $20 Youth USTA Membership is required.